Condolence Card commemorating your crossing. Double Crossers Card commemorating your double crossing. 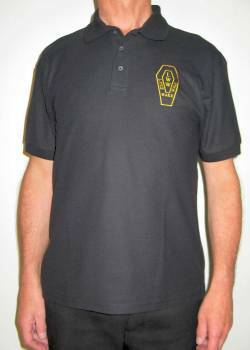 These cotton/polyester polo shirts are in black with the LW club emblem embroidered in old gold thread on the breast . These ‘neoteric’ T shirts in 140gsm polyester fabric are comfortable, wicking and fast drying from the deeply textured surface. 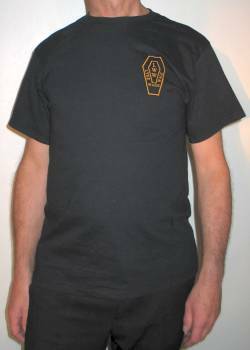 All supplied in black, printed with the Lyke Wake emblem on the breast (guaranteed not to come off!) 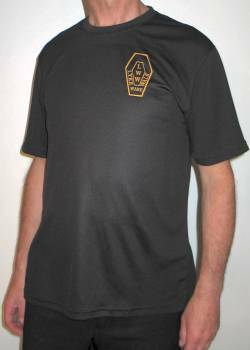 This shirt is ideal to wear when walking, very light, wicking and soft to the touch. 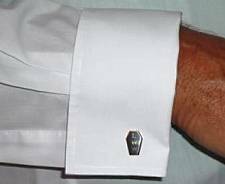 Wicking is where the moisture from your skin is passed through the shirt and transferred to the outside of the shirt where it will evaporate, keeping your skin dry. Cheques should be made payable to New Lyke Wake Club . All prices are post-paid. Please note that stocks are not held at the above address. If you don’t have a cheque book but would like to buy some items, please contact us on new dot club at lykewake dot org . This page explains your rights when you buy from us. We try to keep prices stable but regular increases in the cost of postage mean we have to raise the prices of some items from time to time. For orders from outside the United Kingdom please contact the Secretary on new dot club at lykewake dot org to discuss means of payment. Huge thanks to all those Resurrectionists (founder members) who helped us to put the new Club on a firm financial footing. The Roll of Honour of Resurrectionists has been engraved on the ceremonial Club Coffin for display at Wakes and other formal occasions. 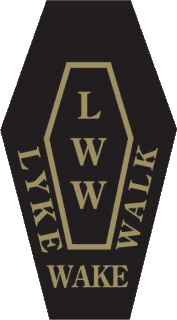 Any Resurrectionist wanting a replacement should contact the Treasurer (david at lykewake dot org). Of course any further donations to the Club are always most welcome! 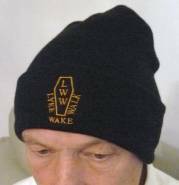 A wake is the watching of a corpse overnight. 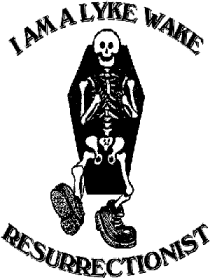 A lyke way is the path by which a corpse was moved from its domicile to church. Please note that although we attempt to despatch items as rapidly as possible (normally seven days at most) the Club is staffed by unpaid volunteers with permanent jobs and families plus we occasionally go on holiday! Please do not expect or demand items by return of post or there may be disappointment. 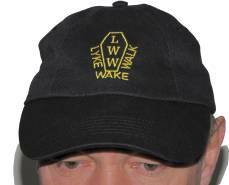 Most of the New Lyke Wake Club's merchandise is produced by Challenge Publications, who also maintain the Official National Three Peaks Website.